Echocardiogram is the recording of the electrical activity of the heart over a period of time, by the electrodes attached to the body surface. 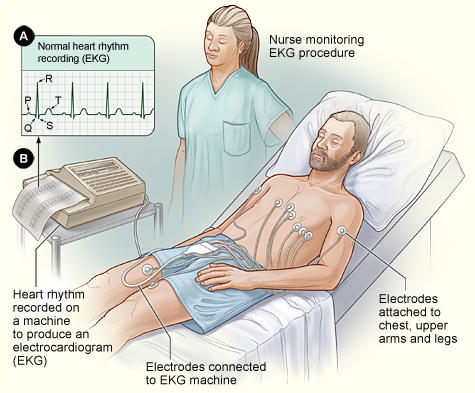 An Echocardiogram / EKG takes about 15 to 30 minutes. Your heart work will be displayed on a monitor. There are no side effects with this test and your doctor will notify you with the results.